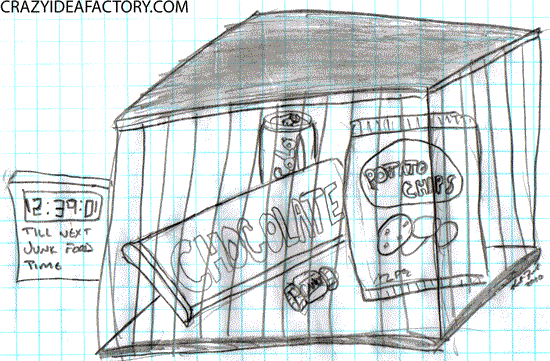 This crazy idea is inspired by the Illustration Friday word of the week, breakfast. There is nothing better than jelly on a nice, fresh piece of hot toast for breakfast. But there is often so little time as you walk out the door in the morning to go through the hassle of finding the jelly, finding a knife and subjecting your wrists to unneeded stress and strain of applying jelly to a piece of toast. 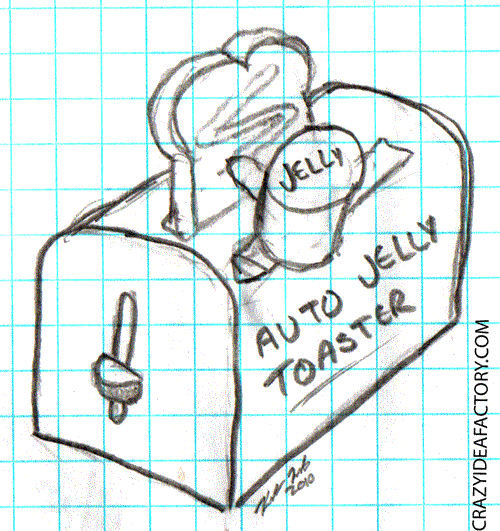 Jelly toast should be as simple as dropping a piece of toast into a toaster and pressing the “auto jelly” button. The Auto-Jelly Toaster makes this dream a reality, jellied toast while you busy yourself with other, more important, morning activities. Expansion packs are available to add capabilities to the auto-jellier. For instance with the writing add-on pack you can add messages to your toast like “I love you” or “remember to buy milk”. With the picture pack add-on the auto-jellier will draw fun pictures and cartoon characters on your toast. 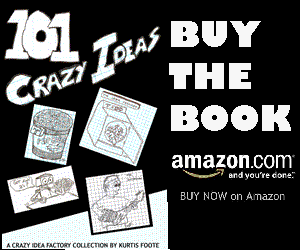 This crazy idea is inspired by the Illustration Friday word of the week, diary. The paper and pencil diary is wonderful, it conveys feeling and creativity in a way nothing else can. 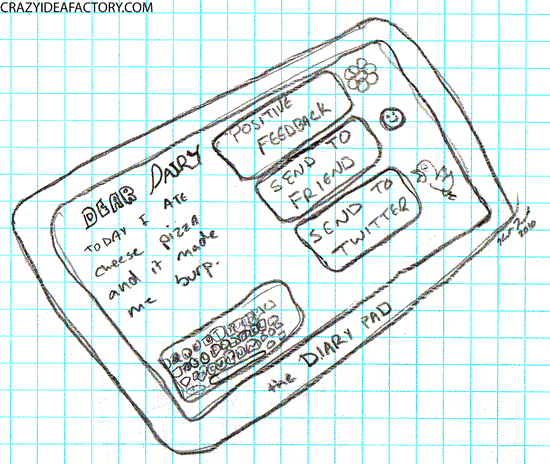 But many of the functions of the diary have been replaced with cloud computing marvels like Facebook and Twitter. The modern diary must be able to go anywhere, connect to your friends instantly, give you positive feedback when needed and of course it needs to be wi-fi and 4G capable.